Since the facility opened its doors on Nov. 1, the Tuscaloosa Sexual Assault Forensic Exam (SAFE) Center has seen about 20 people from diverse backgrounds, providing medical, forensic and emotional assistance at no cost to sexual assault survivors of West Alabama, serving nine counties in the area from ages 14 and up and of any gender. Jones said she believes the facility will only grow from here, and she wants nothing but for survivors to feel comfortable and safe. The SAFE Center provides survivors with three options when they arrive. All three plans serve the option of medical assessment. The survivor can then decided if they want to press charges, not press charges or decide at a later date. Jones said all of the medical personnel at the Center are certified, with one Sexual Assault Nurse Examiner (SANE) nurse on call at all hours of the day and 11 registered nurses. The SAFE Center offers a pill for survivors that combats STIs and pregnancy. Each survivor gets an advocate that expresses the needs of the survivor throughout the examination process, before the process and helps the survivor receive counseling after the medical assessment. “That advocate is there to help the survivors through the process,” Jones said. Tutwiler Resident Advisor (RA) Sunshine Ahmad, a sophomore majoring in nursing, and fellow RAs received in-depth training the first week in January by the SAFE Center over the ins and outs of dealing with a sexual assault case. All RAs are required to file a report to UAPD; however, charges will not be pressed against the aggressor, and no law enforcement will come into play without the survivor’s consent. If the RA is not on-call, they can accompany a resident survivor to the SAFE Center. “I feel that knowing what the SAFE Center offers and what they are there for will help me if I come into a situation where someone needs help, or if a friend of a friend knows someone, I can be their voice of reason, and I can help them,” Ahmad said. Because the SAFE Center is in a private environment, Ahmad said having the facility is a great resource so people won’t have to sit in hospitals all day. Ahmad said it makes her feel great to know this resource is available. Ahmad suggested implementing private transportation to the Center (because the Crimson Ride is too public) and collecting clothing donations to give to the patients as ways to help survivors. Student Government Association (SGA) President Price McGiffert said the SGA has been brainstorming ways to provide transportation for survivors of sexual assault and harassment. The SGA plans to continue to promote awareness and raise money for the SAFE Center. The SGA recently received donations from the Greek community, as the Interfraternity Council and Panhellenic Association each donated $25,000. McGiffert said the money was given to the Center at the end of last semester. The SGA also recently partnered with Order of Omega and President Mac Gardner of Delta Chi to host a fundraiser called Speaking in Silence, which raised about $24,250. McGiffert said there was no pushback against funding for the SAFE Center. 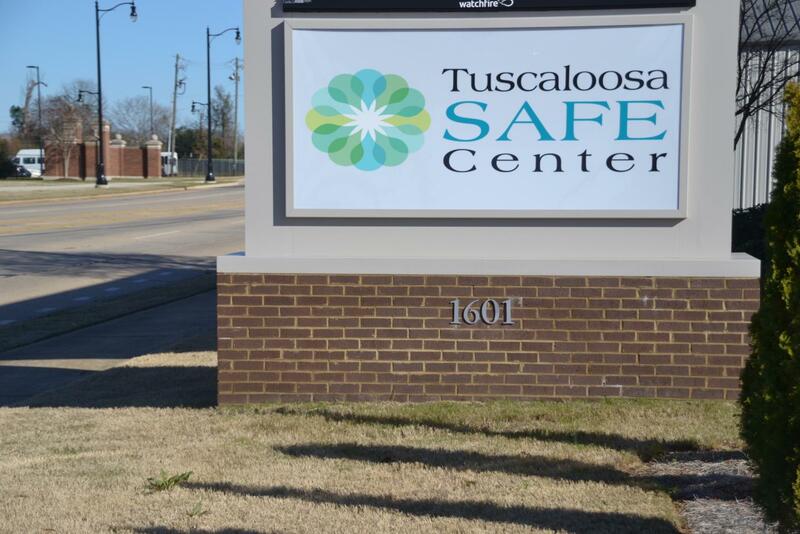 “[The SAFE Center] is a resource that the city of Tuscaloosa and surrounding counties did not have, and it’s something that we needed to ensure we do have,” McGiffert said. The SAFE Center partners with several organizations to offer counseling services for families and survivors, such as the Women and Gender Resource Center (WGRC) and Turning Point. The Center also works to help survivors find a safe place to go in case home is not safe for them. All funding provided to the SAFE Center by SGA and other campus organizations went to providing medication, hygiene products, towels, clothing, water and snacks for survivors. The SAFE Center accepts any sized gift, ranging from new clothing, individually wrapped snacks, bottled water to monetary donations. The SGA Office will be collecting donations throughout the semester to give to the Center.